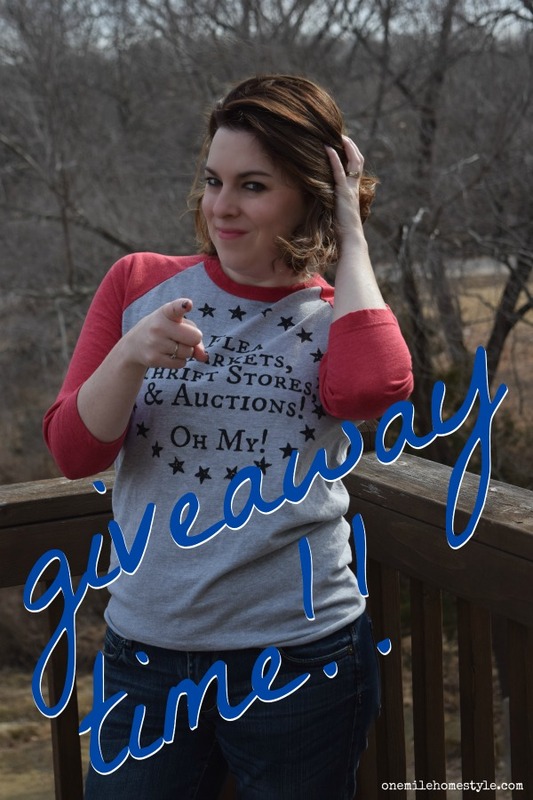 New Max and Dot Co Etsy Shop Baseball Tees - Giveaway Time!! Calling all flea market, thrift store and auction loving ladies!! I have been busy adding new shirt styles to my Max & Dot Co etsy shop lately, and I have got a fun surprise in store for you today!! One of my very favorite things in my closet right now are my baseball style tees. They are so comfy, and the 3/4 length sleeves are perfect for the *almost* warm spring temps. And they are fun way to add a little color and fun to my mom wardrobe. You know that I am working hard to share my current favorites with you guys, and this tee is so fun, I just knew you would love it too! 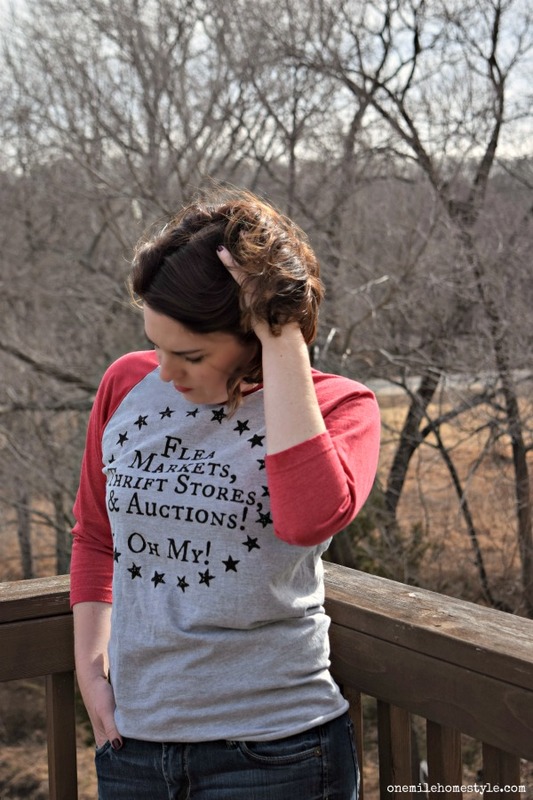 I created this Flea Markets, Thrift Stores & Auctions! Oh My! baseball tee out of my love for scouring these very places for home decor and other treasures. I absolutely love shopping for vintage home decor and furniture that just needs a little love, or supplies to make something completely new. And if you are following this blog, I'm pretty sure you love these same things too! Now for the fun stuff! 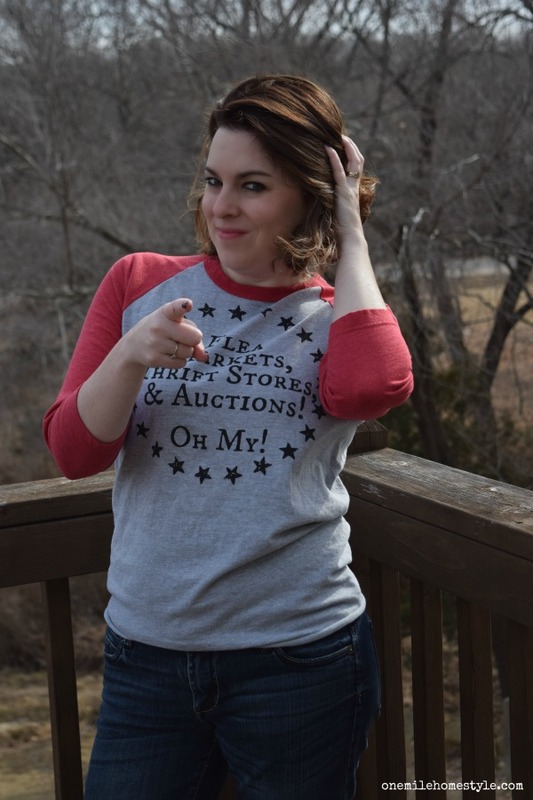 If you're like me, and love shopping at flea markets and thrift stores, and you enjoy the thrill of scoring deals at auctions, you need this shirt. And if you are lucky, I'm going to send you one in the color of your choice. Enter the giveway below for your chance to win (giveaway closes on 2/28)!! Good luck!! I love the boss mama mug! Everything is so cute! Thanks Tracy! That one is definitely a favorite of mine too! I like the Be Thankful Always shirts! Thanks for visiting! That is my other favorite baseball tee right now! I love this shirt, and the style is so comfy cozy. What a great shirt...perfect for the spring and treasure season! The giveaway shirt is my favorite! i love the bottoms up coffee mug!!! I like the Be Thankful Always Blessed Mama Raglan Shirt. My favorite item is the Be Thankful Always Blessed Mama T-Shirt. I like you tee shirts and cups. I love the ISO the Easter Bunny onesies! So cute! I love the Boss Mama mug! I like this shirt in pink: In Search of the Easter Bunny Kids Easter Shirt. I love the boss mama coffee mug! Pumpkin Spice & Everything Nice white on black - I'm all about the pumpkin spice! I like the Mornin' Sweet Cheeks Cute Sweetheart Mug. I really like the Pumpkin Spice and Everything Nice tee. Be Thankful Always Blessed Mama T-Shirt.